ROSE STUDIOS presents . 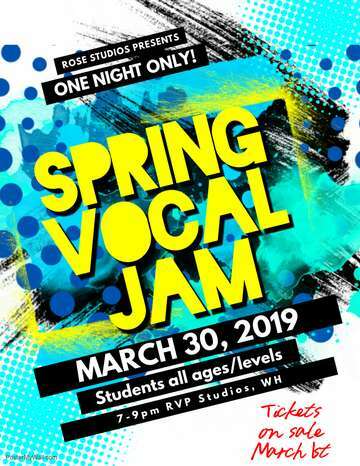 . . Spring Vocal Jam 2019! Students of all ages & levels sing & perform for family, friends & the public!